These muffins are delicious and easy to make. They contain no butter or milk but use low-fat yogurt and olive oil instead. 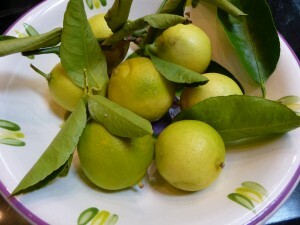 I have made these muffins with a number of different citrus fruits – Meyer lemons, limes, grapefruits, Satsuma mandarin oranges – and they always turn out great! In a medium-sized mixing bowl, mix together the flour, baking powder, salt and zest. In a second mixing bowl, whisk together the eggs, sugar, olive oil and yogurt. When they are mixed well, add the dry ingredients and stir just until they are incorporated. 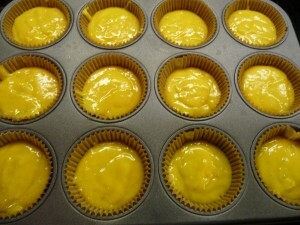 Pour batter into each of the muffin liners until they are about 2/3 full. 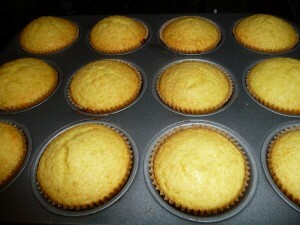 There should be enough batter for 12 muffins. Bake for approximately 18 minutes, until the top springs back when pressed. Remove from the oven. Let cool for about 5 minutes. Meanwhile, make the syrup by mixing together the citrus juice and the powdered sugar. Poke holes into each muffin with a fork. 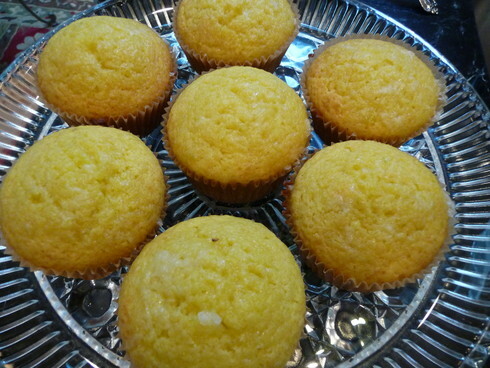 Drizzle some citrus syrup over each muffin.